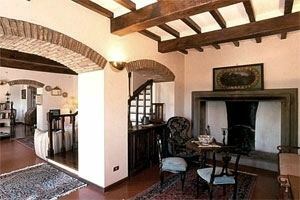 The villa is located near Cortona, where you can see Etruscan, Roman and Medieval historical finds. 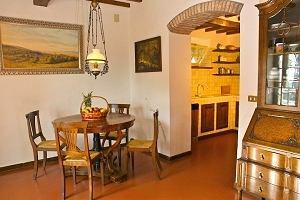 The building is surrounded by the woods and the olive groves of Valdichiana and offers a panoramic view of the mountains of Apennines. 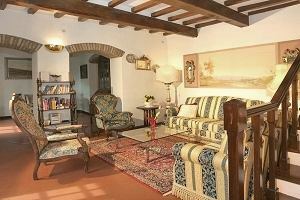 The villa has sunny rooms furnished with elegance. 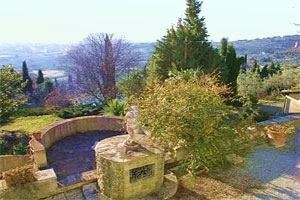 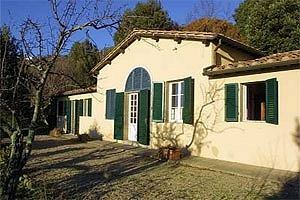 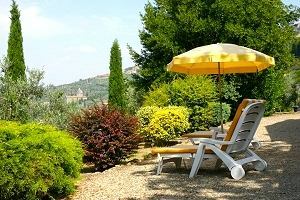 Nearby the villa, the village of Cortona has any kind of service and facility. 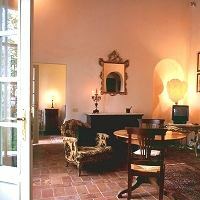 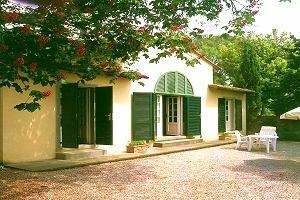 At about 1 km from the villa there is a tennis course and a riding school. 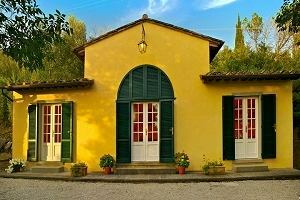 Not too far from the villa there is the Lake Trasimeno. 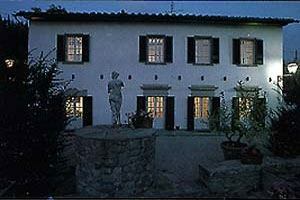 The villa (3 bedrooms and 3 bathrooms) is divided in 2 floors. 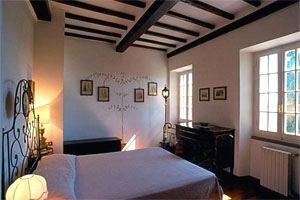 In the ground floor there is a living room of 130 sq-m. and a kitchen with fireplace. 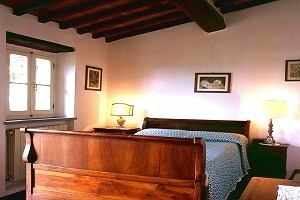 In the first floor there are 3 double bedrooms and 2 bathrooms. 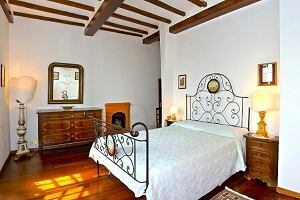 Near the main building there is a dependence with a double bedroom, a bathroom, a sitting room with a double sofa bed and a kitchen.